Side is a magical place, which bears history and modernity at once in itself. To experience this beauty, we invite you to our Side Blue Lagoon Boat Trip. As our pirate ship sails, you will be amazed the spectacular views of the coastline of Side. A full day of sailing will definitely freshen your soul up. The coastline of Side and its surroundings are so picturesque that you may want to book this boat tour for several times to fully explore the area. 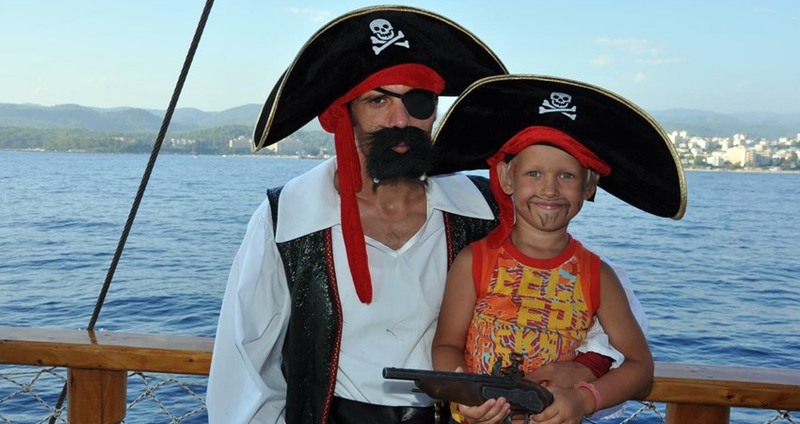 Side Blue Lagoon Boat Trip offers you a spectacular day in a specially-designed ship. 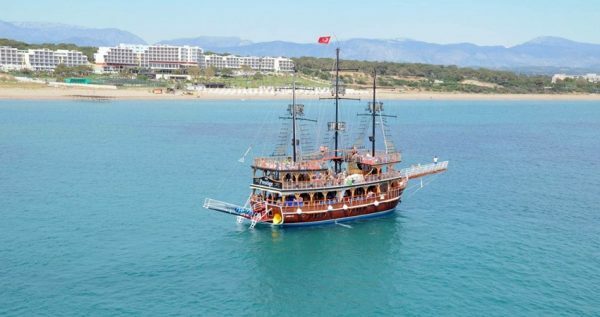 Our boat is designed as an original pirate ship, which will make you feel like a pirate who is ready to conquer the beautiful coastline of Side. On a bright summer day, you will have the chance of sunbathing on your sunbed under the crystal clear blue sky, while listening to the peaceful sound of the waves. During the trip, our gorgeous ship will anchor at a couple of beautiful locations, where you can cool yourself off in the pristine bays of Side. This exciting blue cruise will be a great opportunity to relieve yourself from the stress of a year full of business and school rush. The route of this pirate ship includes a couple of important historical and cultural places, too. The ship departs from the beautiful coast of Side, and after 20 mins approximately, you will jump in the cool waters of Mediterranean. The most beautiful parts comes after this break. 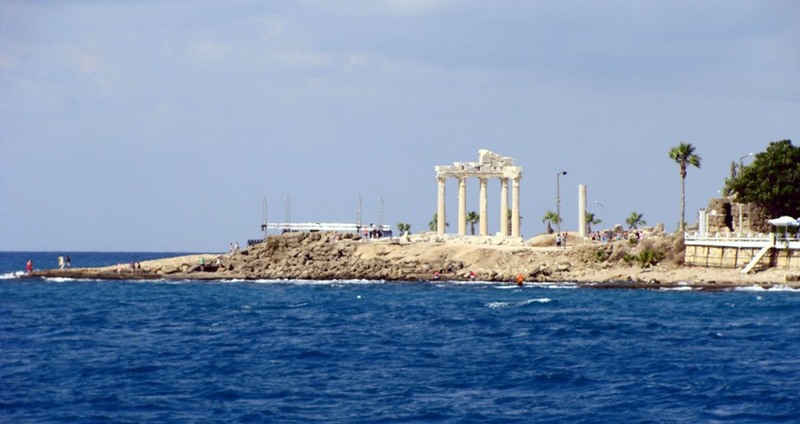 You will see the spectacular view of the Athena and Apollo Temples from the sea. This mystical scenery will be a lifelong memory for you. Don’t worry, our captain will stop here for 15-20 mins to take photos. Moreover, you will enjoy the sun and the sea at miraculous Cleopatra Beach and at Caretta Caretta bay, which is the natural reproduction area of Caretta Caretta turtles. This means, you shouldn’t forget to bring your cameras with you! 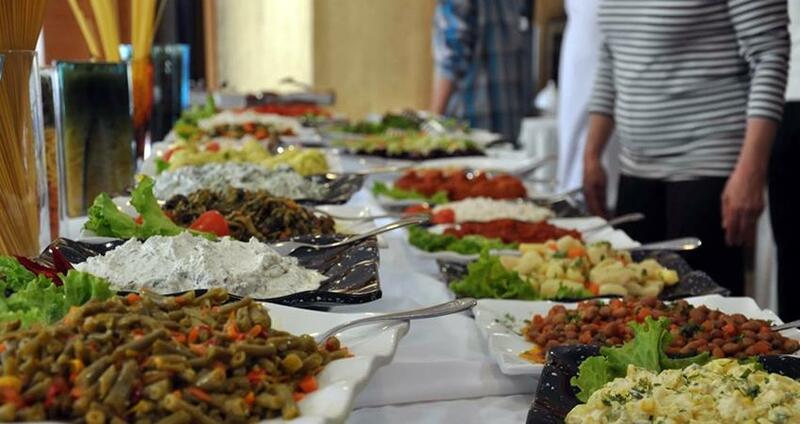 Then, get ready for having a delicious lunch, where the famous Manavgat River meets the sea. In this long break, you can enjoy your freshly-made lunch or you can discover this wonderful place with golden sands yourself! Deciding to swim in the cool river, or the crystal-clear sea will be a completely extraordinary experience. Is it enough? Of course not! 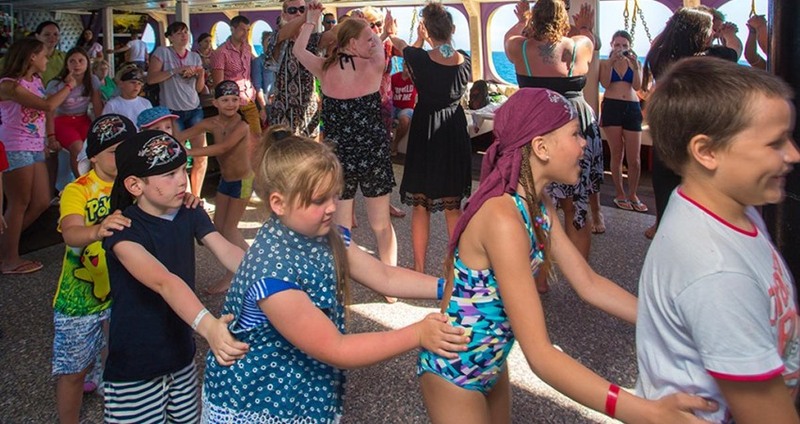 You will have fun at its most with the foam party and different activities performed by the energetic crew of the pirate ship. Don’t miss this spectacular chance, to witness the beauties of Side while having fun at its most. You will have a tasty lunch and have great fun with foam party and various activities on the boat. Join us in our Side Blue Lagoon Boat Trip! You can also check Side Manavgat Boat Trip from here. 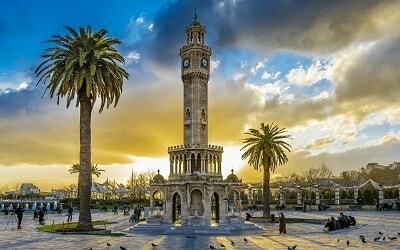 Our air-conditioned and comfortable coaches will be waiting you in front of your hotels in the morning. As our first priority is to provide you a comfortable and safe journey to the harbour. Please inform our guides or drivers, if you need anything during this journey. They will be more than happy to help you. 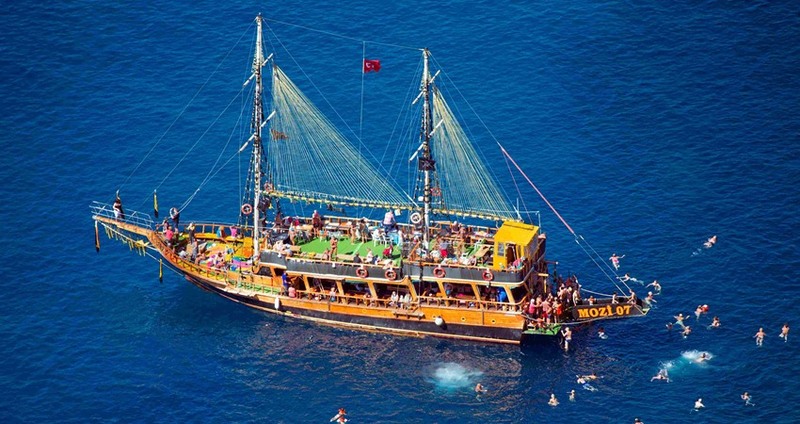 Our boat that we use for Side Blue Lagoon Tour is a specially-designed pirate ship. As it is designed especially to make you have fun, every detail is thought beforehand. The boat is two-decked. You can enjoy the bright summer sun in a crystal clear blue sky, whereas you can escape to the shadows if you feel too hot. Cleopatra Bay is a famous bay at Side. This golden-sanded miraculous beach will teach you what real peace is. After our ship anchors at this splendid place, you can enjoy the crystal clear waters of the sea, or have a coffee at the beach during your visit. 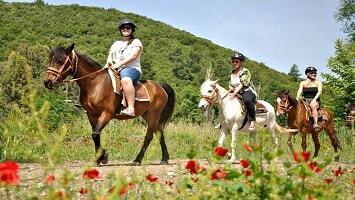 Whatever you prefer to do, it will be definitely unforgettable for you. 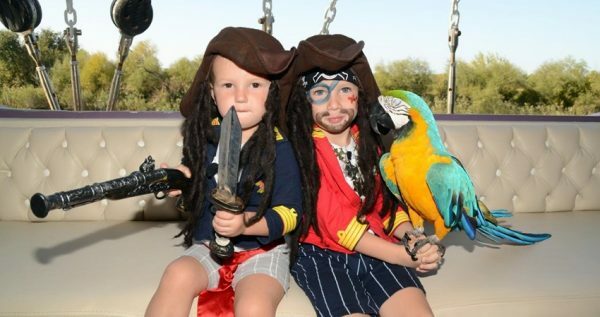 When our pirate ship comes closer to the Harbour and Temple of Apollo, you will be enchanted by the breath taking views. The Harbour of Side is a popular place for the nightlife of Side. A lot of exquisite restaurants and cafes here serve their customers with the most delicious foods and drinks. 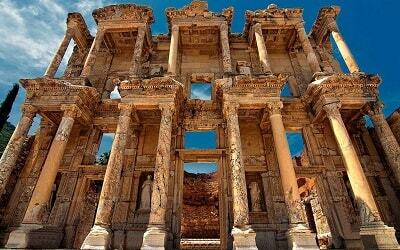 Moreover, the Temple of Apollo is one of the most beautiful historical places in Side. This mysterious and legendary place is a must-see, as it is standing tall here for ages. Manavgat River is a 93 km long famous river. 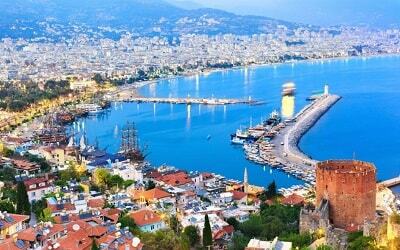 It is the largest river in Antalya region. 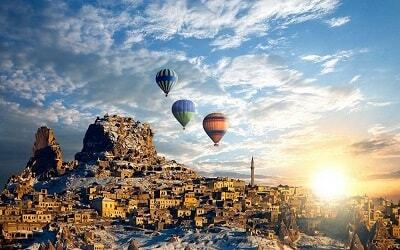 Its source on the eastern slopes of the western Taurus Mountains. It is home to a variety of fish and bird species. Today, it is a popular tourist attraction. Our ship will anchor at its mouth, where it meets with sea, and you will always remember swimming here. 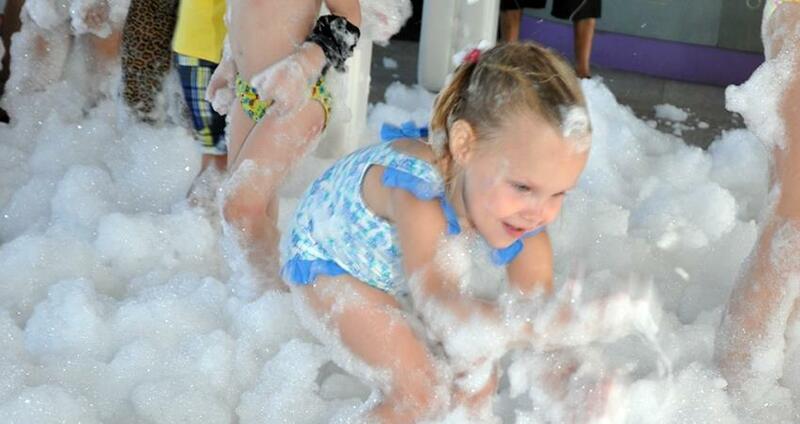 Near the end of the day, our professional crew will throw a foam party for you! This will be the definition of fun! With the upbeat music, you will dance as there is no tomorrow. Don’t forget to take pictures during the party, as this will be a time you will always want to remember. Our tour route also includes Caretta Turtle Bay. 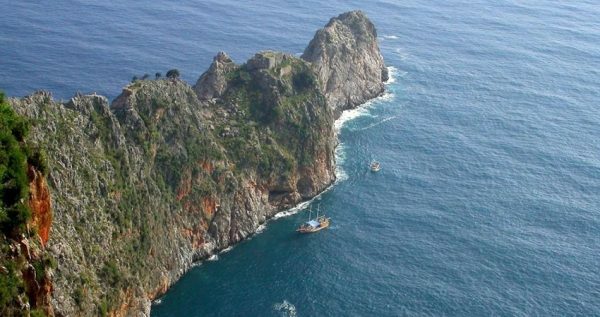 This miraculous place is the natural reproduction area of Caretta Caretta turtles. If it is your lucky day then you might see a Caretta Caretta turtle during our swimming break here.